I’ve enjoyed spending time this past week reminiscing about the year. I’ve reflected on—and blogged about—favorite books and what I’ve learned, and today I’m sharing my final 2017 reflections with highlights and favorites from the year. 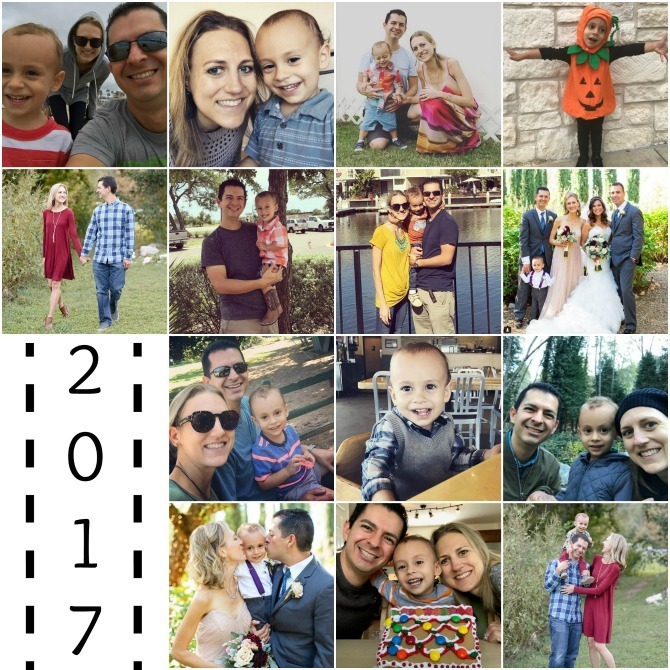 Compared to the last few years, 2017 was surprisingly quiet for our family in that it was the first year in a while that we haven’t had a significant life change. 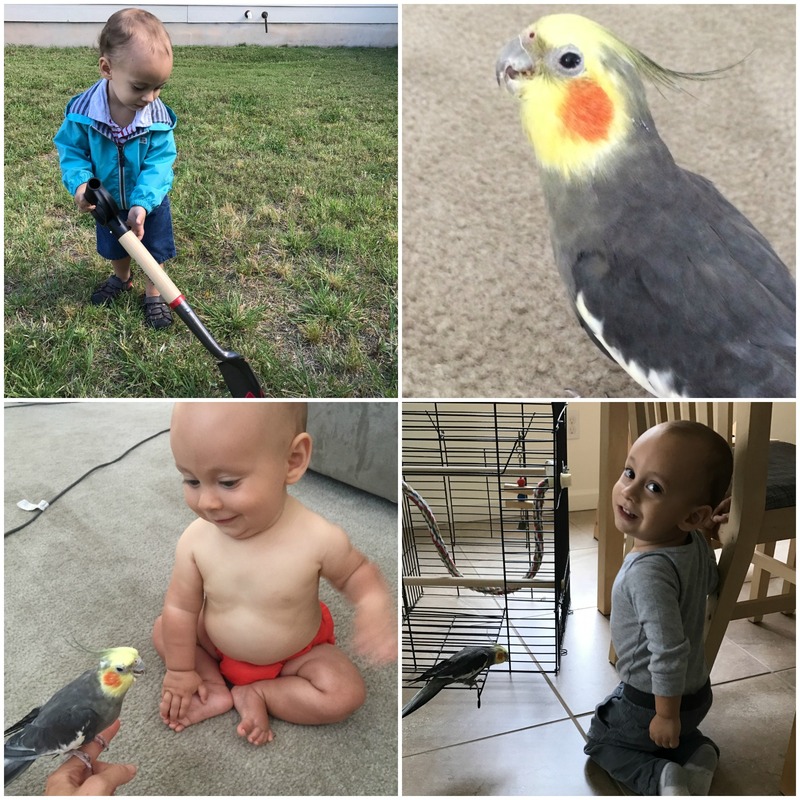 (In 2013 Luke and I moved homes and I started a new job and a blog; I spent most of 2014 pregnant and started a different new job; Charleston joined us in 2015; and last year we relocated to Texas.) This year was kind of just “normal.” Thankfully, I happen to like normal. And even without any sweeping changes, we still had plenty to remember in 2017. We rang in the new year with our first of three trips home to California this year. We stayed in Luke’s parents’ house in Riverside for one last time before they sold it, and we had our first stay in my parents’ Huntington Beach home, since they sold the house I grew up in at the end of last year. We got to visit with a few friends and extended family members, saw Christmas lights at Downtown Disney, and celebrated belated Christmases with both sets of families. In mid-January we celebrated Charleston’s SECOND birthday. We kept things low-key this year with a trip to a local indoor play place, simple Finding Dory decorations at home, and cupcakes. Our friends also threw him a little birthday lunch at a local restaurant. In April my parents came to visit us. 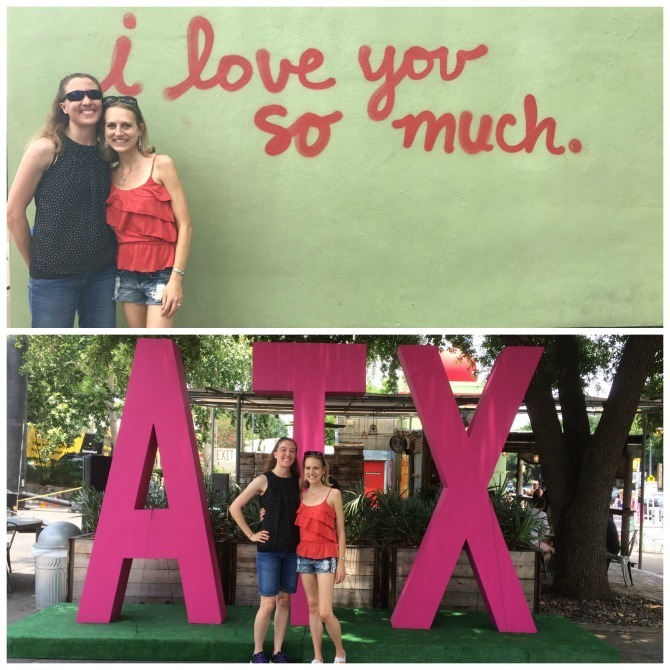 It was their first time in Austin and we enjoyed showing them around our new home town. 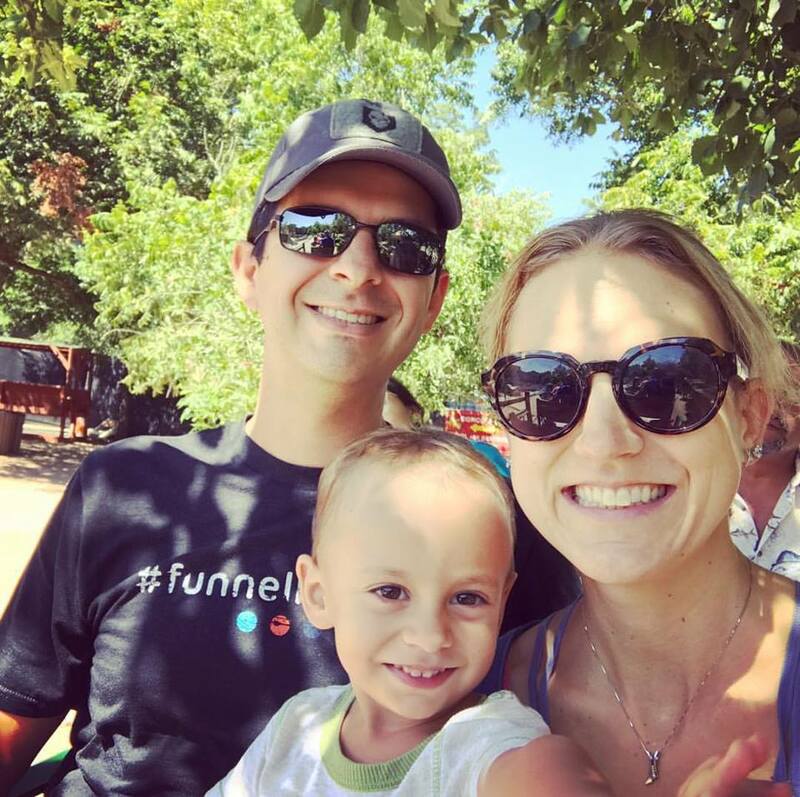 We went to Zilker Botanical Garden, drove all around Hill Country, and of course gave them a thorough tour of our neighborhood playgrounds. We also got to take a day-trip out to Conroe to visit my Dad’s cousin and his family. In May we said goodbye to our Sunnybird, who was 21 years old. We miss him, and Charleston still talks about his little feathered friend, but we were fortunate to have had him as part of our lives for so long. 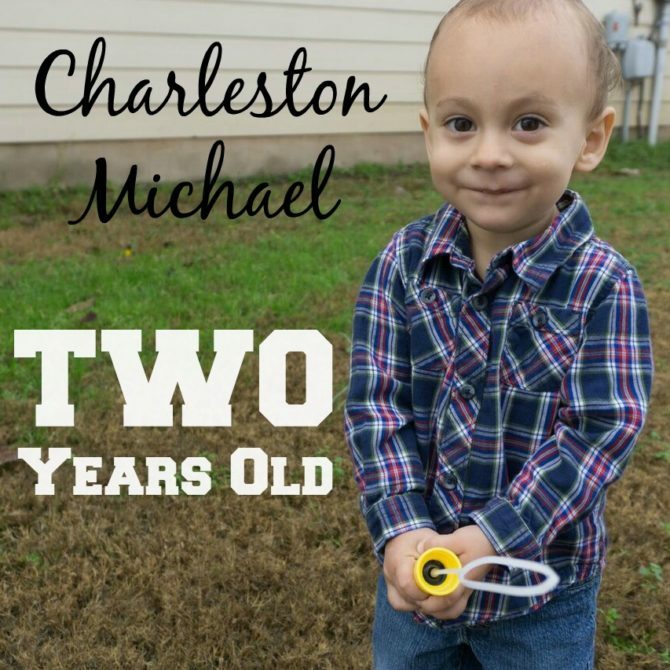 Explaining his death to Charleston was one of the hardest things I’ve ever had to do. My friend Cara came to visit us in June. 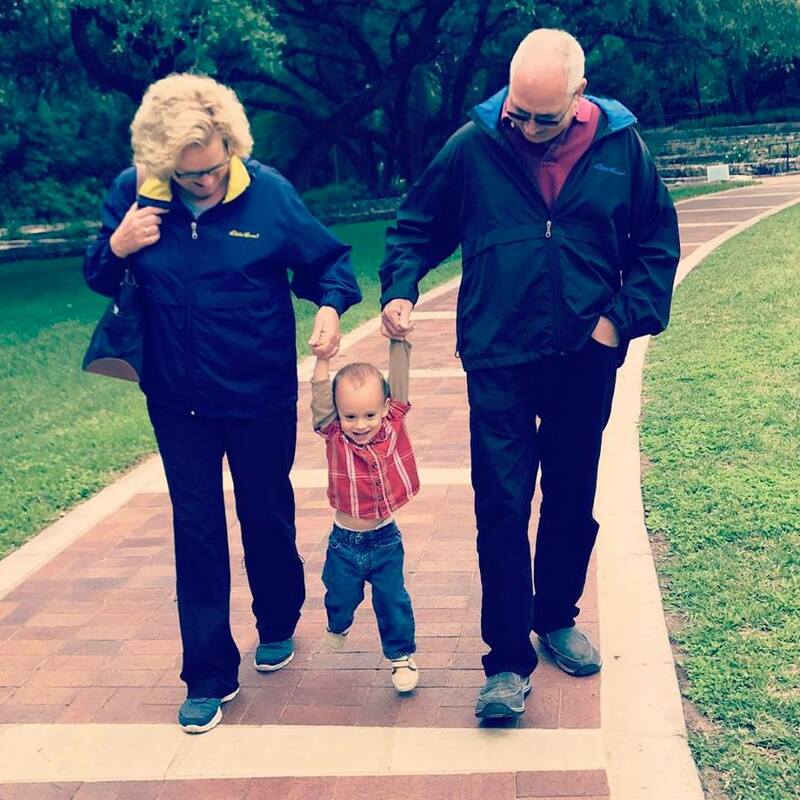 She joined us in our weekly visits to the library and church, but we did some more fun things too like a tour of the Ladybird Wildflower Center and exploring some trails around a swimming hole in Georgetown. Cara and I had a fun girls’ day to ourselves and we rode the train downtown, took a tour of the Capitol, and explored the SoCo district. 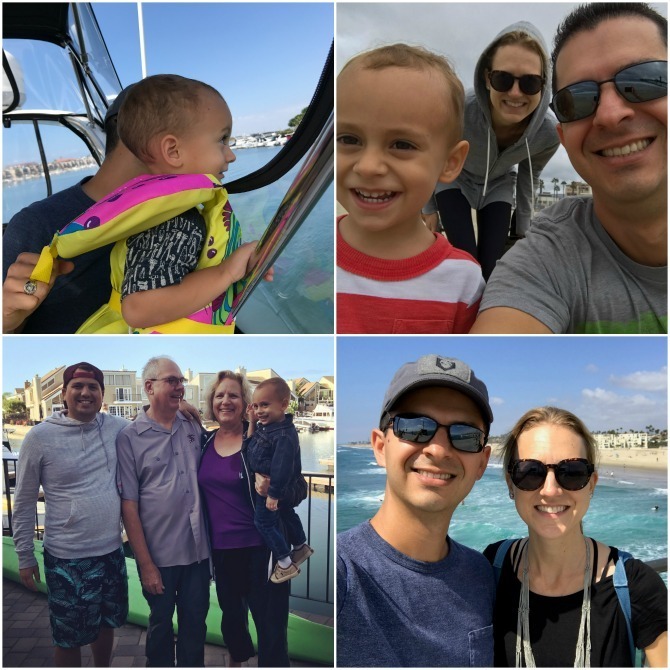 At the start of summer, Luke’s parents relocated from Southern California to the Austin area. They bought a home out in the country and Charleston loves to visit them and run around their huge yard with their German Shepherd. Other than my sister-in-law, we don’t have any other family in Texas so it’s nice that Charleston gets to see extended family more frequently now. In September we went out to California for a week with my parents and brother. We took a harbor cruise on their new yacht, visited with grandparents and friends, spent time on the beach, and of course made a visit to Downtown Disney. Our main reason for that particular California trip—and probably our biggest highlight of the year—was to be a part of Luke’s sister Amanda’s wedding. 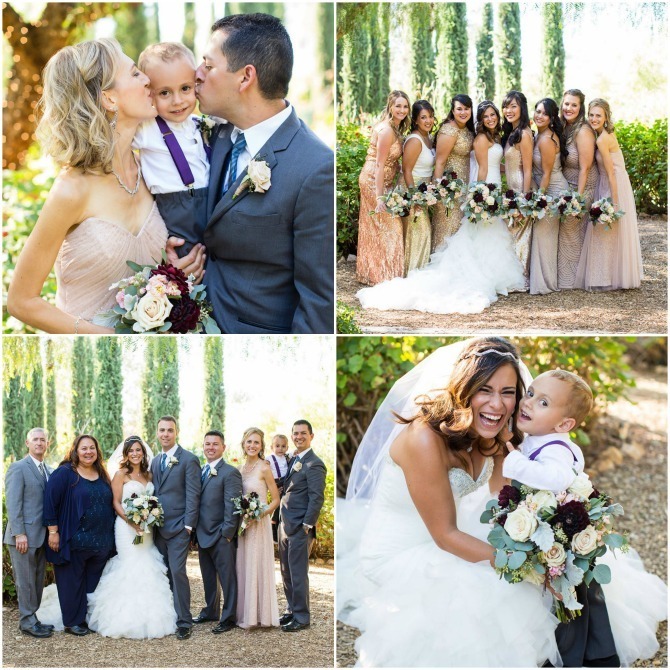 I was so honored to be a bridesmaid, and Charleston was the sweetest little ring bearer—watching him walk down that aisle was one of my proudest moments. And we were excited to welcome Steven into the family. 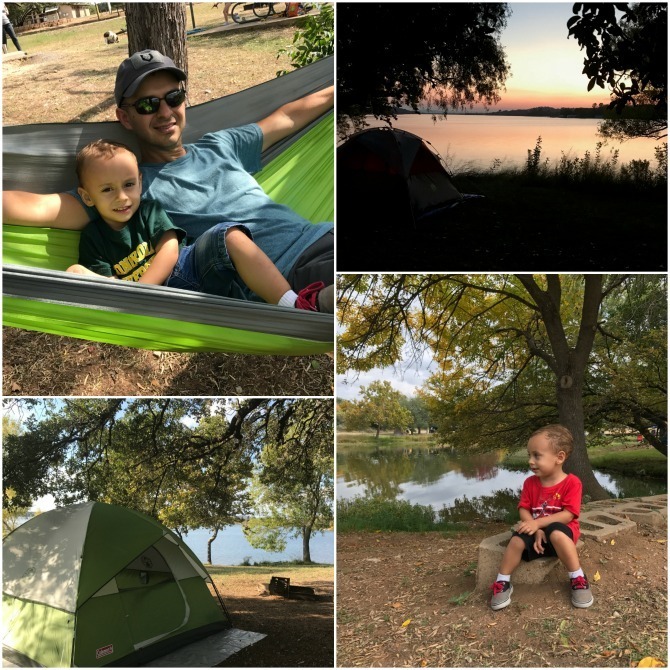 In November we went tent camping for the first time as a family. We had gorgeous weather and enjoyed the weekend with friends and simply being outdoors, in nature. The end of November saw us back in California to spend Thanksgiving with family. During our week with my parents in Huntington Beach we visited the Aquarium of the Pacific, had dinner at Downtown Disney (are you sensing a theme in our California trips?) and had Thanksgiving dinners with both my family and Luke’s extended family. 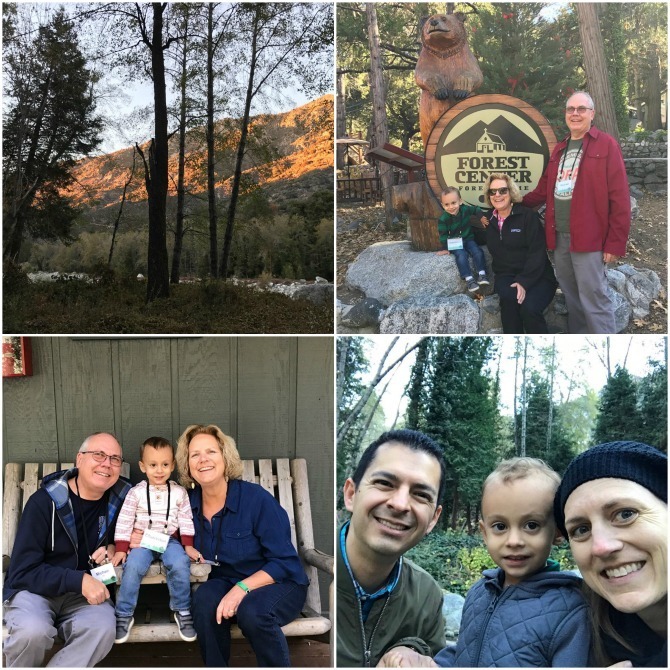 Our November California trip ended with a weekend at Forest Home Family Camp with my parents. Forest Home is one of my favorite places on the planet, and I loved experiencing it with the people I love most. The most significant and special moments within a year are often those that go unphotographed; those daily activities that don’t seem like much, but add up to a whole lot. 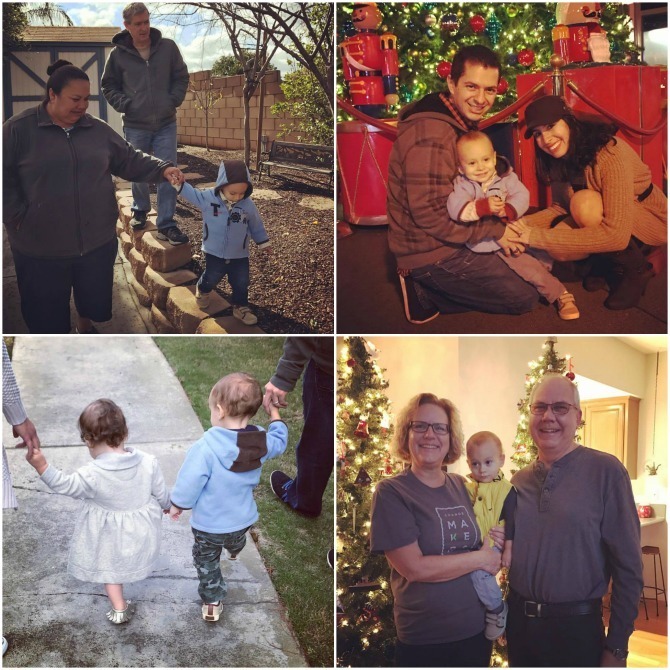 Some of those everyday memories I want to remember in 2017. . . .
+ Bringing meals to several friends who had babies, and learning how to coordinate a meal train. + Saturday morning Family Story Time at the library, and bringing home lots of picture books to enjoy throughout the week. 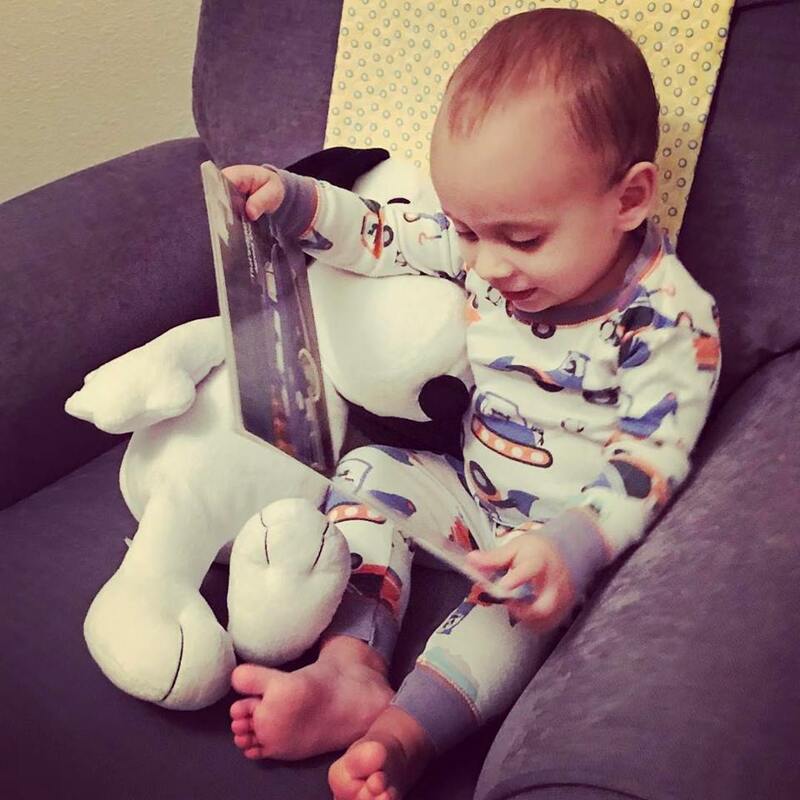 + Afternoons spent cuddled up with Charleston in his chair, reading together. + Weekly phone calls with Cara and marathon text messages with Amanda. + After-workout chats with our gym’s babysitters. + Serving in the preschool ministry at our church, and finding my sweet-spot position of leading Large Group for the littles. 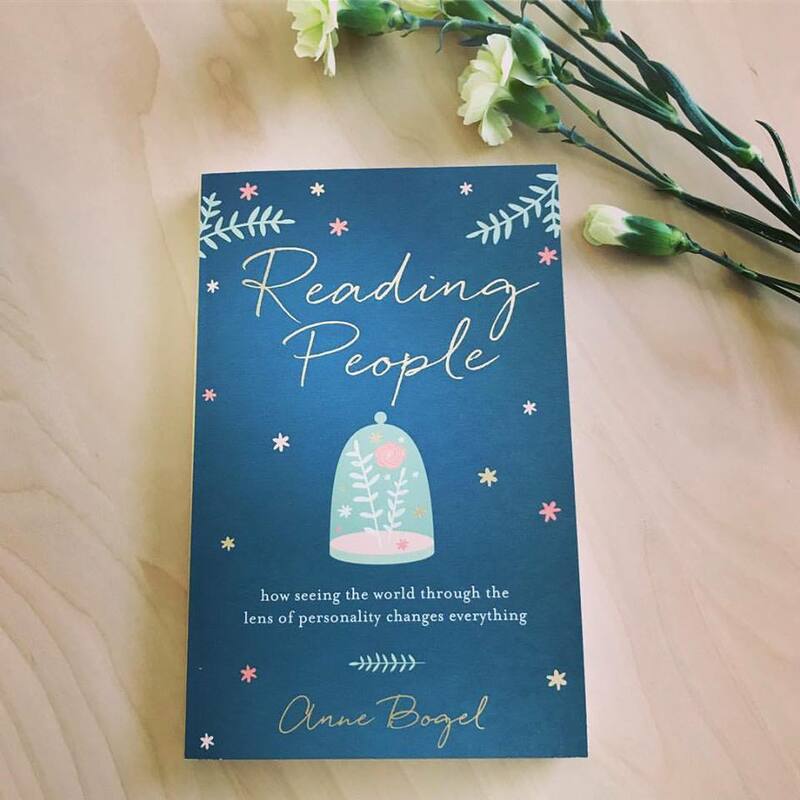 + Being part of the launch team for Anne Bogel’s Reading People. + Participating in a weekly women’s Bible study, where I grew in my faith and made some of my closest friends. 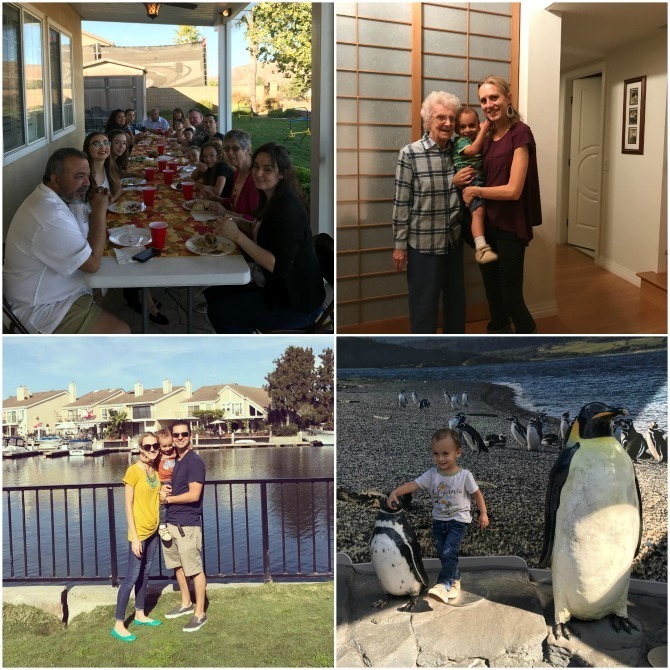 + Getting to know other moms through play dates at their houses, and even hosting a few at our house (a first for me!). + Working on Bible study homework with Charleston (and learning to be okay with—and then growing to love—his scribbles all over my pages). 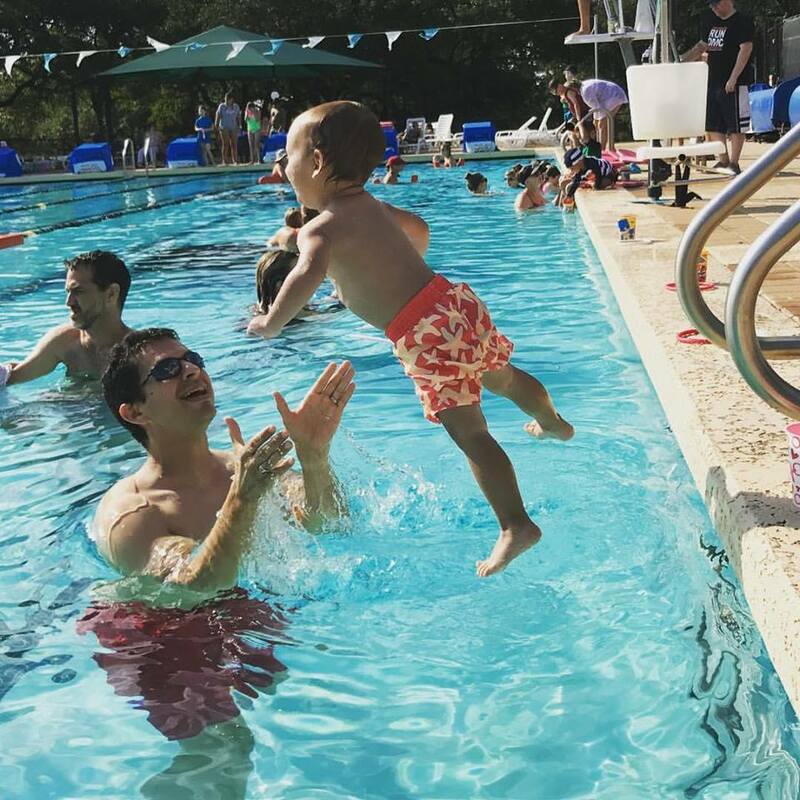 + Charleston’s second year of swim lessons, and summer afternoons at the pool. + Participating in two different community groups with Luke, and getting to share our personal stories and hear those from our fellow members. + Ice cream dates with Charleston. + Trips to Sweet Berry Farms for berry picking and hayrides with Salisa and Bennett. + Family outings to many different parks and other spots around town. + Family time at lunch and dinner (and Charleston learning how to sit in a chair for the whole meal!). + After-dinner dance parties in our living room. 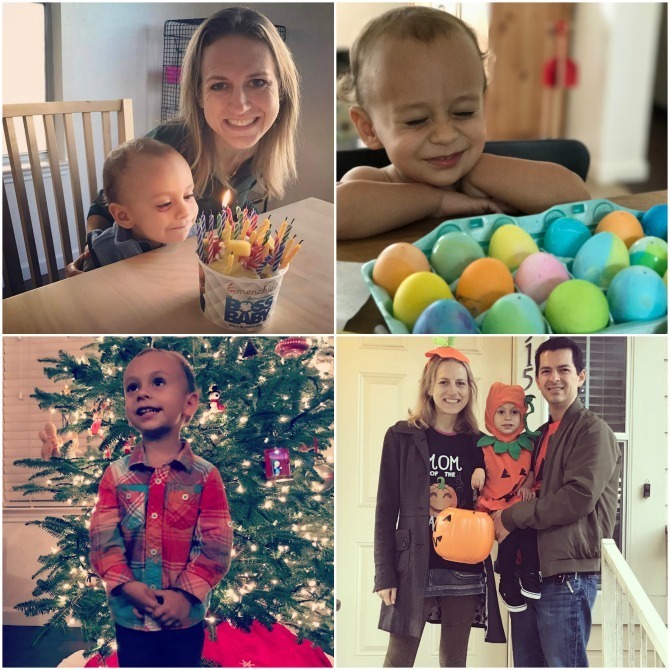 + Celebrating the holidays with fun traditions: dying eggs at Easter, dressing up and carving pumpkins at Halloween, seeing lights and celebrating Advent at Christmas, putting candles in our Menchie’s for birthdays. 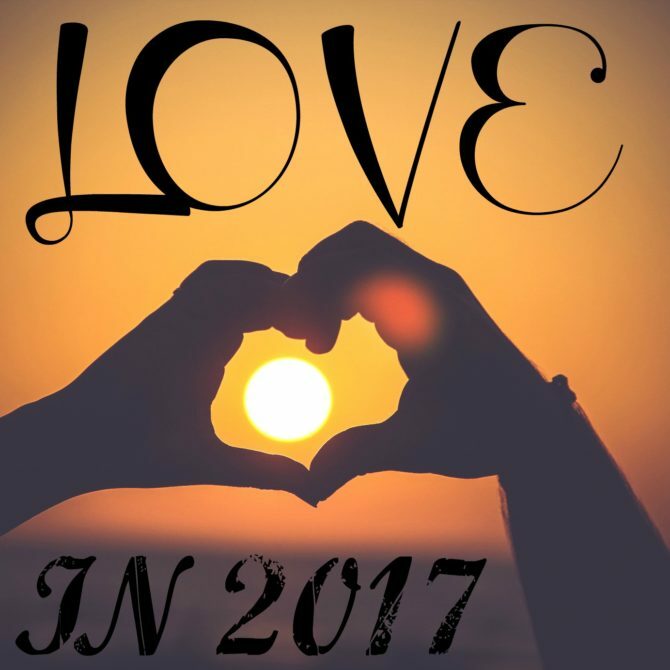 At the start of the year I selected LOVE as my word for 2017. My goal was to spend the year growing in my relationship with God and actively sharing His love with others. Overall, I’d say my mission was a success—I was able to embrace Love much more than my two previous Words of the Year. I accomplished several specific love challenges and in general I found myself acting more loving towards others and going out of my way to show kindness and compassion. I also became cognizant of areas where I was acting distinctly unloving and, with God’s help, made an effort to make reparations wherever possible. And I learned how difficult it is to show love when I’m not in a spiritually or emotionally healthy place. My biggest takeaway for the year was a much fuller understanding of God’s love for me as His daughter. This has played into my Word selection for 2018—but more on that next week! 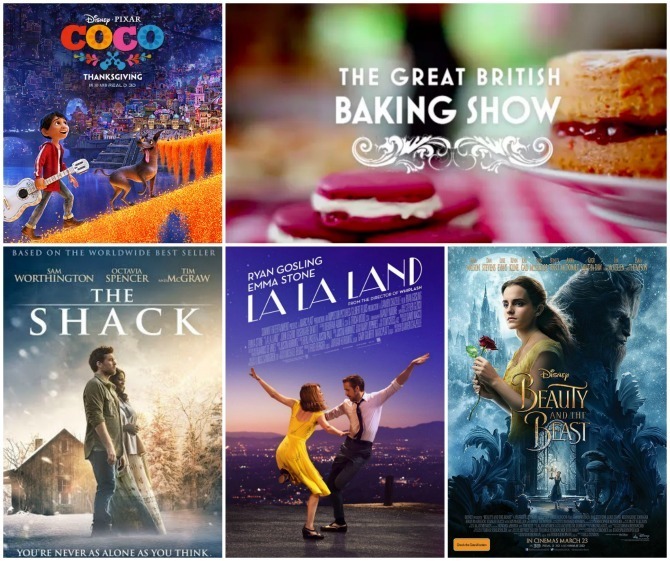 Most of this year’s favorites have been continuations of favorites from previous years. This is especially true with blogs (I’m still reading most of the same ones), foods (no fun new finds to share), and restaurants (even though they changed their name and closed the location closest to us, Verts—now Noon Mediterranean—is still my favorite place to eat). However, there are always new acquisitions. Here’s a look at some that really stand out. This is one area of my life that is always expanding! It’s SO hard to limit myself to just a few favorites—even favorites that I just started listening to this year! :: The Art of Relationships :: Two theologians discussing the complexities of relationships in our culture; it sounds nerdy, but the content is useful and their banter is fun. One of the hosts, Tim Meuhlhoff, frequently spoke at our church in California and his sermons were always my favorite. 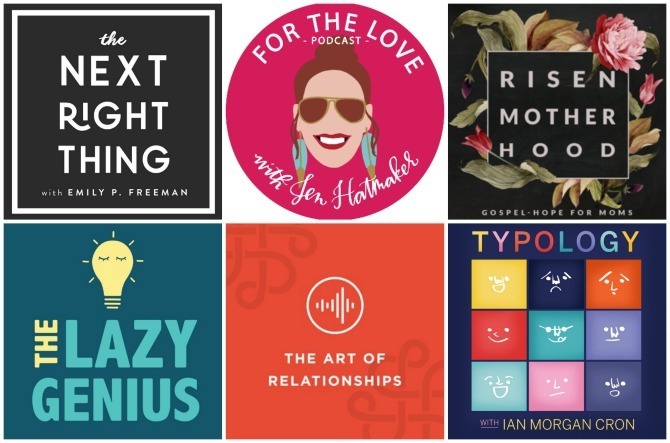 :: For the Love with Jen Hatmaker :: I have very mixed feelings about Jen and don’t always care for her interview style, but she’s interviewed some excellent guests, and I enjoy her series themes, which change every few episodes. :: The Lazy Genius Podcast :: Kendra offers the BEST tips for how to be a genius about the little things in life. As a fun bonus, she coordinates a weekly blog post to fit each week’s podcast theme. :: The Next Right Thing :: This newish show from Emily P. Freeman is like a breath of fresh air for my soul. Emily has so much wisdom to share, and the show’s production is beautiful. I’ve shared specific episodes with many friends who have also really enjoyed them. :: Risen Motherhood :: Fantastic advice for applying Biblical principles to life with little ones. The episodes are short but pack a powerful punch. :: Typology :: Enneagram expert Ian Morgan Cron talks with guests about their Enneagram type. It’s fun to see how this personality model manifests itself in real people. :: The Great British Baking Show :: I didn’t watch much TV this year, but even if I’d seen dozens of shows, I have no doubt this one would have risen to the top. From the friendly spirit of competition and amazing displays of creativity, to the British humor and passionate guests, I adored everything about this show. :: La La Land :: The music, the dancing, the acting—with the exception of the ending, this movie made me SO happy! :: The Shack :: It’s one of my favorite books, so I was nervous that the movie wouldn’t measure up; I needn’t have worried, it was fantastic. :: Beauty and the Beast :: Another movie I was a little nervous to watch because I love the animated version so much, but it was great. Beautifully done, and Emma Watson was excellent as Belle. :: Coco :: Another winner from Pixar. Funny and poignant, and a fun window into another culture. :: La La Land Soundtrack :: I enjoyed the movie so much, I was glad I could “recreate” the movie-watching experience by dancing along to the soundtrack with Charleston in our own living room. 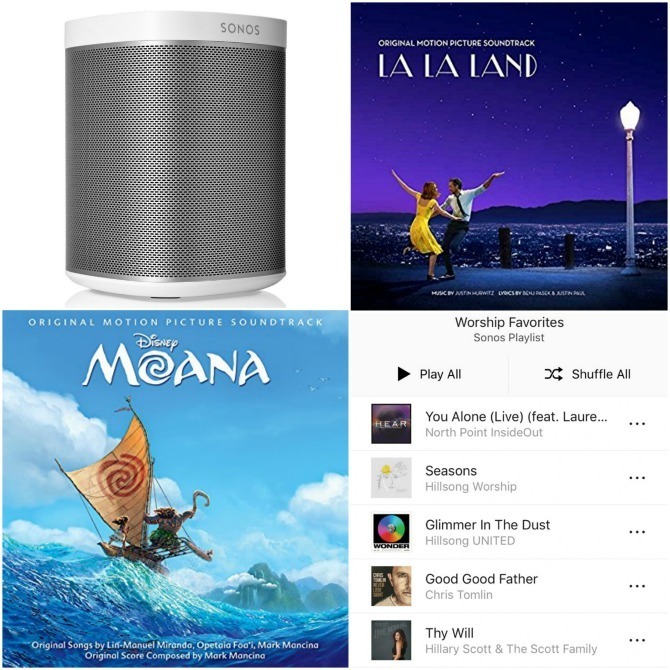 :: Moana Soundtrack :: This one was actually Charleston’s favorite of the year, not necessarily mine, but I had to include it here because it was definitely the most-played album in our house in 2017. Not that I minded, it really is pretty good. :: My Customized Worship Playlist :: Every few weeks or so, we sing a new song at church that really speaks to me; as soon as we get home, I immediately add it to this playlist, which has become our go-to music of choice when we’re hanging out around the house. These are all songs with powerful lyrics and I’ve been amazed by how much simply pressing play on this list has the power to immediately improve the mood in our household. Charleston is starting to learn all the lyrics, which have sparked some fruitful spiritual conversations. :: Sonos Wireless Speaker :: This little speaker has amazing sound, and it isn’t an eyesore. I especially like the ability to stream music from any service, all from my phone. 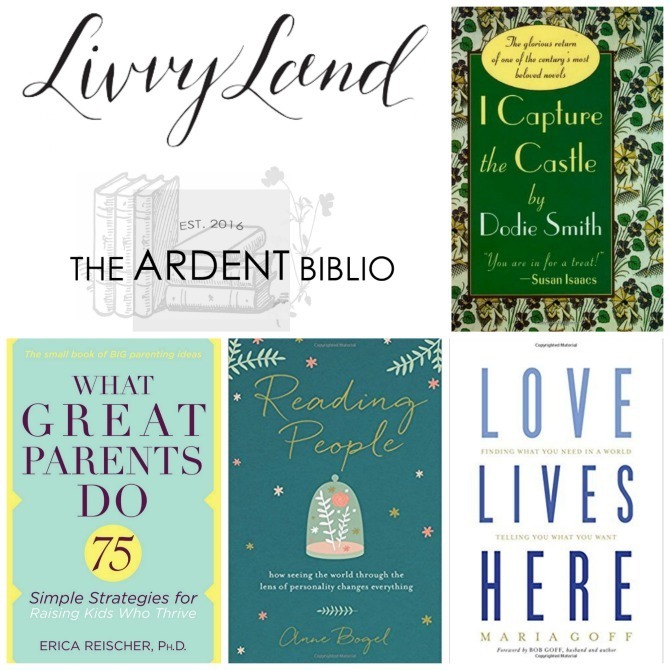 :: The Ardent Biblio :: This blog, cowritten by two literary enthusiasts, has provided some excellent book recommendations, and the book-themed photography is lovely. Their literary dinner showcases are especially impressive. :: Livvyland :: Olivia is a fashion blogger from Austin. Her taste in clothes doesn’t always match mine, but I enjoy seeing the outfits she puts together, and it’s fun to see the Austin locations she uses as backgrounds for her outfit photos. :: Backpack Purse :: See #18 from yesterday’s post. This is an instance where function has won out over fashion in my life. :: Norwex Mop :: My Norwex-selling friend helped me to see the light with Norwex products. I love the cloths, but this mop is the Norex item that’s been the biggest game-changer in my cleaning routine. :: Kendra Scott Earrings :: Luke bought me three pairs this year (for Christmas, my birthday, and Mother’s Day) and I love all three. This pair is so gorgeous that I bought the matching necklace and wore the set in Amanda’s wedding. 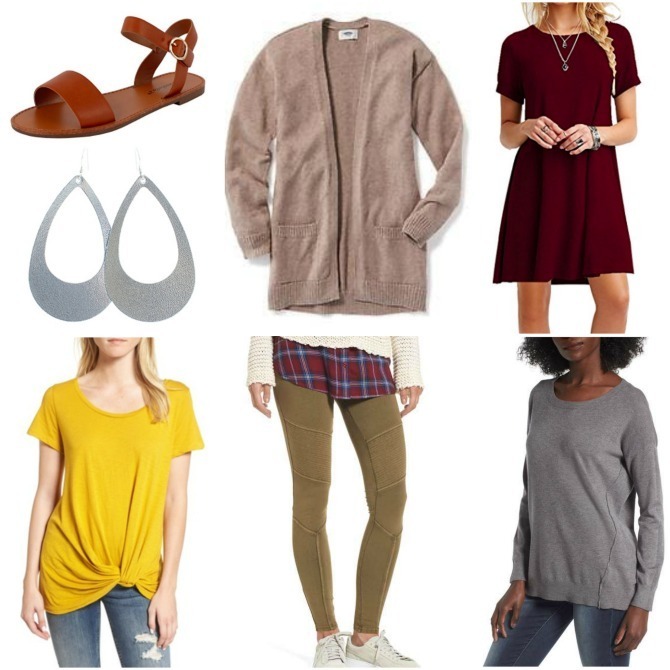 I spent more money than usual on clothes this year (see #32 from yesterday’s post); it was time to purge my closet of clothes I’d been holding onto for a decade, and to bring in some new items. I focused on neutral colors and items that would mix and match. Amazon, Old Navy, and Nordstrom were my favorite places to shop. :: BP Moto Leggings :: The ribbing on these makes them feel a little more special than my usual workout leggings. I have them in three colors and have been wearing them almost every day since the weather has cooled off. :: BP Twist Front Tees :: Another “casual item with a twist.” I snatched up two (black and mustard) during the Nordstrom summer sale. :: Dreamers Tunic Sweater :: This cozy sweater from Nordstrom is ridiculously soft and has the perfect drape. :: Old Navy Cardigans :: These aren’t the warmest sweaters, but you can’t beat the price (especially since I bought them when they were half price). I bought a black one and a beige one, and I wore them nonstop through fall. :: Jersey Swing Dresses :: These were my go-to uniform during fall; they are cuter than shorts but just as comfortable. 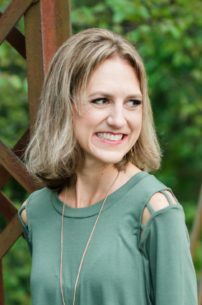 I bought them in three different styles—sleeveless, short sleeve, and long sleeve—and it was easy to change up the outfit by simply swapping out accessories. :: Nickel and Suede Earrings :: After eyeing these earrings for years, I finally bought myself a pair. They are lightweight and stylish and instantly became one of my favorite pairs. :: Tan Slingback Sandals :: Other than shoes I bought to wear in Amanda’s wedding, this was my only shoe purchase of the year (gasp!). They are comfortable and went with everything I wore during the summer. :: Clinique High Lengths Mascara :: I’ve tried a few mascaras this year but keep coming back to this favorite; it’s not easy to find, but worth the effort of tracking it down. :: Diorskin BB Cream :: I’d never tried a BB Creme until October, when I went for a makeover at Sephora. The stylists used this cream on me, and I was sold. It offers great coverage, looks natural, and stays on all day. :: Teeth Whitening Charcoal Powder :: Probably not as effective as whitening strips, but it does make a difference and it works well with my sensitive teeth. 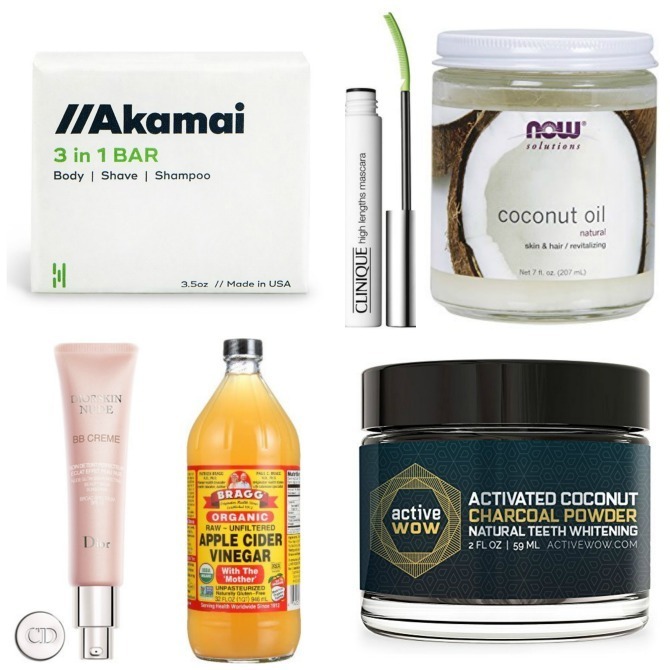 :: Akamai 3-in-1 Bar :: This single item has replaced my body wash and shave cream. I love that it doesn’t dry out my skin. :: Coconut Oil and Apple Cider Vinegar :: I’ve kept up with my all-natural skin care regimen of slathering coconut oil on my face in the evenings, and waking up my pores with a splash of apple cider each morning. And my face still seems to be happy with the routine. :: Coke Zero :: I never thought I’d see the day when Diet Dr. Pepper was no longer my beverage of choice. I still love Diet Dr. Pepper, but lately I’ve been preferring Coke Zero! :: Menchie’s :: I love the yogurt, and I especially like that I can walk there with Charleston (which is why we made the switch from ice cream dates at Chick-fil-A this year). I’m always most excited when the Angel Food Cake flavor is on tap. 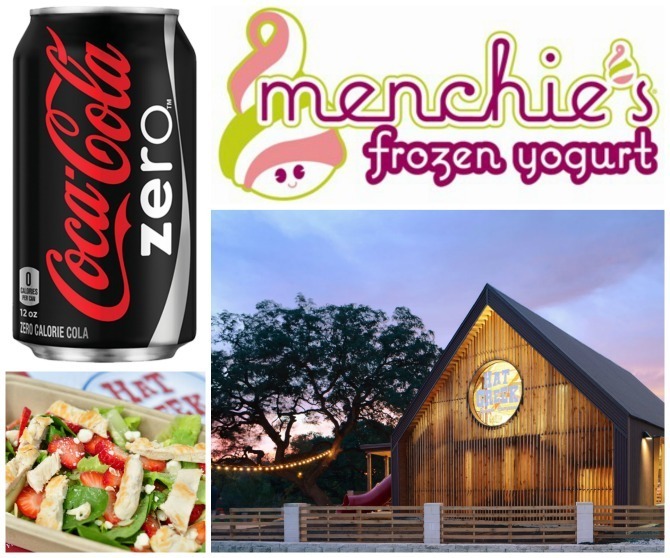 :: Hat Creek Burger Company :: I really like their chicken salads, but the biggest draw for us is the cool outdoor playground, and the excuse to play down by the creek after we eat. :: Melissa & Doug Train Set :: This was Charleston’s birthday gift from us, and Luke and I frequently marvel about how it was the best gift ever! It holds his attention longer than almost any other toy, and it’s been fun to add to his train collection over the year. We have the accompanying table , which is the perfect size and keeps all the extra pieces in a tucked-away drawer. 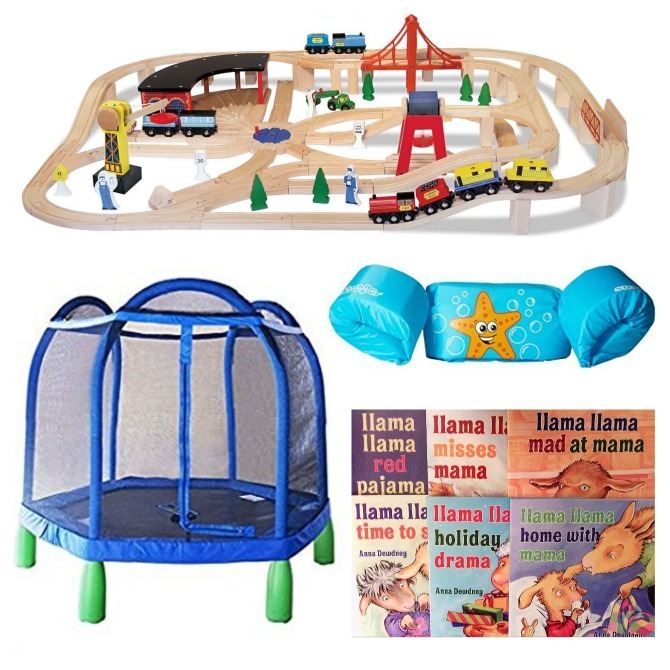 :: Sportspower Trampoline :: This was what we bought with Charleston’s birthday money and it is his favorite outdoor toy. It’s the perfect spot for him to burn off some energy when we don’t have time to walk to the playground. :: Puddle Jumper Life Jacket :: This item saved our trips to the pool this summer. Charleston liked having the freedom to swim unassisted, and it eased my anxiety around having him in the water. :: Lllama Llama Books :: Charleston and I both adore this series. We only own a couple ourselves, but check out a new one at the library each week. These are a great way to teach important lessons about values like sharing and patience. :: Old Navy Clothes :: Old Navy has become my favorite place to clothes-shop for Charleston. (And he’s growing so rapidly that I’m constantly buying new clothes.) Their clothes are durable and cute, and extremely well-priced, especially since I always buy during sales. We live down the street so I order online, but can easily return in-store. It’s hard to believe that I’ve been at this blogging thing for more than four years now! I have nearly 650 posts in the archives; for those of you who have been with me from the beginning, you’ve likely consumed the equivalent of a novel or two of my writing, so thank you! In 2017 I’ve kept up with most of my favorite series, and tried a few new things, one of my favorites being dedicating the entire month of March (my birthday month) to book talk. I’ve scaled back a bit on my posting, but have continued to put out at least three posts per week. Readership has seen steady growth, so again—thank you! My Quick Lit posts are a definite reader favorite. I’m happy to know that you all love book talk as much as I do! :: Chasing Confidence (aka, The Post I Was Almost Too Afraid to Share) :: My coming-out of sorts about my decades-long battle with insecurity. I knew that the only way to conquer my demons was to write about them. Writing didn’t cure me, but it did make a difference. :: A Few Thoughts on Therapy :: I experienced an odd mix of trepidation and also empowerment when sharing about my return to therapy. :: How I Track My Reading :: Every reader loves hearing about how others track their books; these are my methods. :: Listen Like a Pro: My Best Tips for Mastering Audiobooks and Podcasts :: I composed this guide in response to numerous questions from friends and family members asking how to “do this whole podcast thing.” I was happy to share the wisdom I’ve amassed from years of heavy listening. 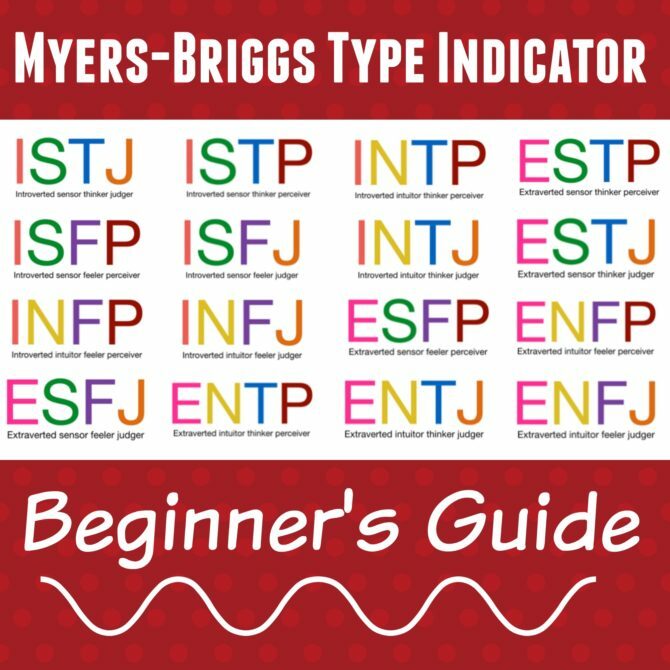 :: My Entire Personality Series: Myers-Briggs, The Enneagram, The Big Five, Personality Books :: This series was a huge hit with all of you, and one of my favorite posts to write all year because it gave me an excuse to nerd out about my very favorite topic. :: What I Learned Posts :: This monthly series continues to be my favorite to write. 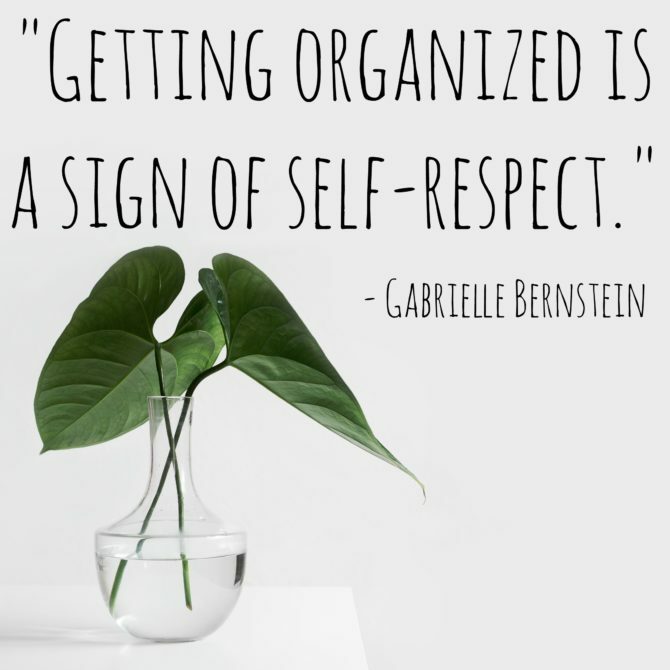 Just knowing that this post is coming up at the end of each month provides the external accountability I need to keep a running tab of what I’ve been learning, and the extra dose of introspection and reflection has prompted me to view my world and my life through a new lens. I especially enjoyed compiling my list of things I learned in 2017 and seeing how much I’d changed and grown since last year at this time. :: Motherhood :: What being a mom means to me. :: Resting in God’s Love :: A recounting of one of my most powerful experiences in 2017.
:: Why It Matters :: I’ve spent a lot of time thinking why I blog, and questioning whether it’s important; writing this post helped to confirm what I already knew in my heart to be true about the power of story. 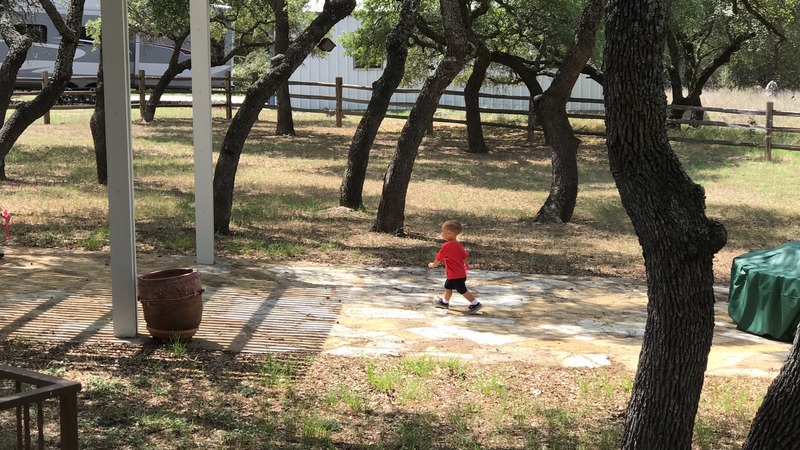 :: Getting On Board With Values-Based Parenting :: This exercise, and writing about it, has already provided me with so much parenting guidance and lifted a heavy burden of mom guilt. 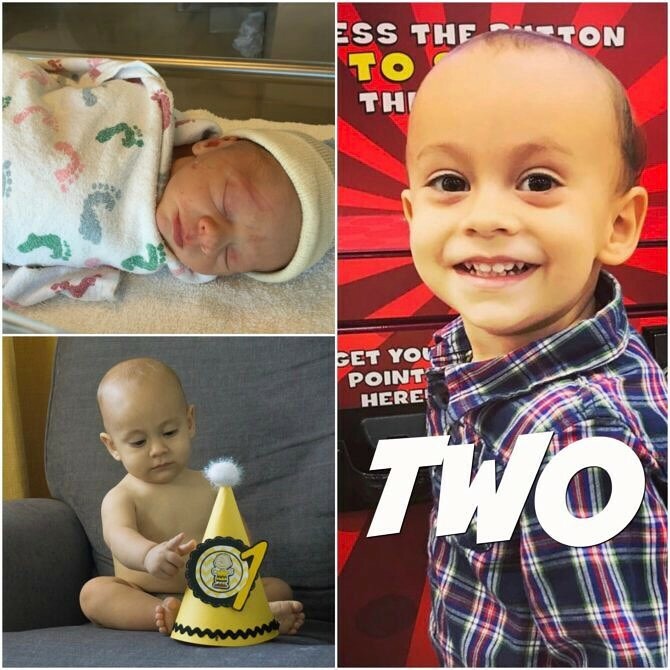 :: Charleston Michael: This is Two! :: I love having this love letter to Charleston to look back on; a little time capsule in his little life. I can’t believe I will be writing his Three-Year letter in a couple of weeks! And that’s a wrap! Let’s put a bow on 2017 and gear up for a whole new year. Happy New Year’s Eve! And thanks again for joining me in another year of blogging through life, one review at a time. See ya next year!